"Sampath Speaking" - the thoughts of an Insurer from Thiruvallikkeni: Tibetan mastiffs craze wanes ~ now loiter on the streets !! Tibetan mastiffs craze wanes ~ now loiter on the streets !! Do you like pets ? do you like having dogs of pets ?? ~ for sure you have heard of Mastiff – a large dog known for its size and strength. Any molosser, including bulldogs, Great Danes, mountain dogs, pit bulls, and even small dogs such as the Boston terriers are considered "Mastiff" in this broad sense. Earlier in Mar 2016, I had posted on red carpet being rolled out to the two pups – one picked up in a Rolls Royce and another in a Range Rover from Bangalore airport !! these were the two Korean Dosa Mastiff pups, bought by the president of the Indian Dog Breeders' Association, joining the list of the most expensive ones. A dog lover and breeder living in Bangalore in Karnataka, imported the pups from China for Rs 10m (£104,472, $149,800) each. A couple of years earlier, in Mar 2014, a Tibetan mastiff puppy in China fetched a record-breaking price in what could well be the world's most expensive dog sale, according to local media reports. The giant, furry canines were once used for hunting in Central Asia and Tibet, and are said to have "lion's blood." They weigh upwards of 100 pounds and are known for their loyalty and guardian instincts. The 12 million yuan ($1.9 million) dog, a golden-haired puppy measuring 31 inches tall and weighing nearly 200 pounds, was purchased by a 56-year-old property developer from Qingdao, according to the report in the Qianjiang Evening News. The ultra-pricey pooches are a status symbol among China's wealthy, wrote the media at that time. In microeconomics, supply and demand is an economic model of price determination in a market. It postulates that in a competitive market, the unit price for a particular good, or other traded item such as labour or liquid financial assets, will vary until it settles at a point where the quantity demanded (at the current price) will equal the quantity supplied (at the current price), resulting in an economic equilibrium for price and quantity transacted. The interdependence of relationship between supply and demand in the field of economics is inherently designed to identify the ideal price and quantity of a given product or service in a marketplace. Say's law, or the law of markets, in classical economics, states that aggregate production necessarily creates an equal quantity of aggregate demand. The French economist Jean-Baptiste Say (1767–1832) introduced the idea in 1803, in his principal work, A Treatise on Political Economy (Traité d'économie politique): A product is no sooner created, than it, from that instant, affords a market for other products to the full extent of its own value. And : As each of us can only purchase the productions of others with his own productions – as the value we can buy is equal to the value we can produce, the more men can produce, the more they will purchase. Moving back to dogs, there once was a time, during the frenzied heights of China’s Tibetan mastiff craze, when a droopy-eyed slobbering giant like Nibble might have fetched $200,000 and ended up roaming the landscaped grounds of some coal tycoon’s suburban villa. China’s boom-to-bust luxury landscape is strewn with devalued commodities like black Audis, Omega watches, top-shelf sorghum liquor and high-rise apartments in third-tier cities. Some are the victims of a slowing economy, while others are casualties of an official austerity campaign that has made ostentatious consumption a red flag for anticorruption investigators. 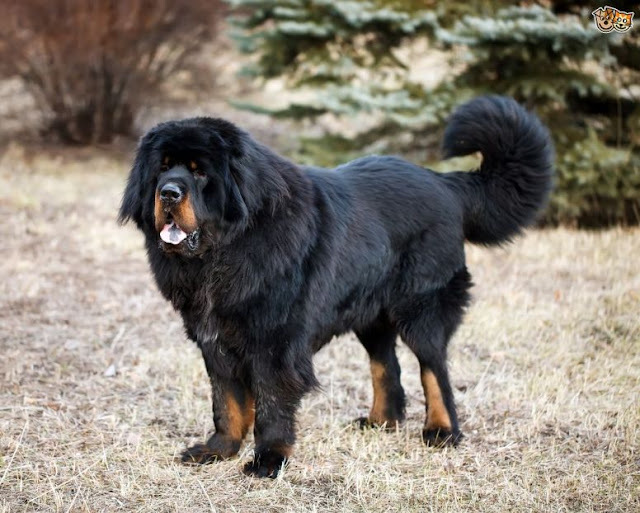 Then there is the Tibetan mastiff, a lumbering shepherding dog native to the Himalayan highlands that was once the must-have accouterment for status-conscious Chinese. Four years ago, a reddish-brown purebred named Big Splash sold for $1.6 million, according to news reports, though cynics said the price was probably exaggerated for marketing purposes. No reasonable buyer, self-anointed experts said at the time, would pay more than $250,000 for a premium specimen. Nomadic families have long used mastiffs as nocturnal sentries against livestock thieves and marauding wolves. A primitive breed with a deep guttural bark, they are inured to harsh winters and the thin oxygen of the high-altitude grasslands; like wolves, females give birth only once a year. Like many products in economics, the hayday of China's once booming Tibetian mastiff market too has come to a close. Previously, this majestic breed was kept by wealthy families as a trendy, rather pricey pet and status symbol – but now, interest in the breed has declined dramatically, leading to the abandonment of a significant portion of the country's overbred mastiff population, media reports suggest. By 2015, about one-third of mastiff breeders in the Tibet Autonomous Region had closed down their businesses, and the annual trade in mastiffs in neighboring Qinghai province had dropped from over 200 million yuan ($29 million) at its peak to less than 50 million yuan ($7.2 million), according to China Dialogue. Upon closing up shop, many breeders simply left their dogs on the street. This continues to cause problems in the region today, besides the insane amount of dog feces on the street and the diseases that these animals carry, free-roaming Tibetan mastiffs have proved to be a danger to livestock and even people. Last November, an 8-year-old girl died after she was mauled by a stray in Qinghai. There are regular reports of mastiffs chasing people in packs and even small towns are known to have a population of at least 500 stray dogs. "The sharp decline in the price is one reason behind the rise in homeless Tibetan dogs, and the other is their strong fertility. Some local governments built a shelter to cage thousands of Tibetan dogs but after a few months, the number of dogs increased, it is stated. Such is the case in Maozhuang Township, in southern Qinghai, where city officials raised 200,000 yuan to build a dog shelter in 2015, but are still struggling to keep it running. When the shelter open, they received 1,200 dogs in two weeks and they still count around 600 dogs some two years later. Although some local governments in Tibet and Qinghai have considered simply culling off the dangerous stray dogs, that idea has been met with resistance by the mostly Tibetan Buddhist population, who consider it sinful to slaughter animals. While this opposition led to a surge in the construction of dog shelters in the area, with some monasteries even paying for the sterilization of female dogs, it's not clear how lasting these efforts can be. With the overall unwillingness of the locals to actually adopt the dogs, the future of these once prized pets remains uncertain.